The "Sunny Orion" suffered a fire on board on May 8, 2018, at 09.10 a.m. in the Tsushima Strait 55 miles south of Busan. 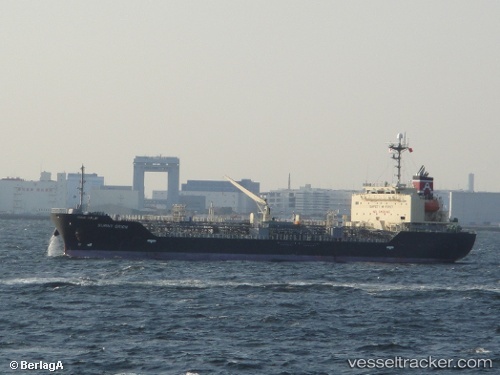 The tanker with 4.700 tons of xylene, a highly flammable and toxic liquid, was en route from Hong Kong to Ulsan. The fire which erupted in an empty cargo tank was extinguished within 20 minutes. The ship continuing the voyage and moored on Yeosu Achorage the same day No injures among the 21 Filipino crew members were repoorted. Howver, SAR and Coastguard ships and helicopter were sent to monitor the tanker.